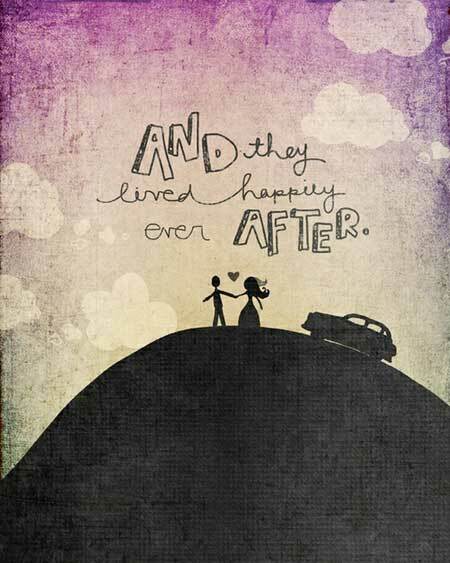 I have yet to meet a person who doesn’t want a happy ever after for themselves. We want it all- the dream job, the loyal friends, the supportive friends and the impossibly perfect significant other. Of course, I still haven’t met anybody who wants to struggle before finding their happy ending. Nobody wants to fail classes or make mistakes. Nobody wants to lie to the people they care most about. Most of all, nobody wants to admit that they want to be the happiest, most fortunate person in the crowd even if it comes at the expense of other people. But when it comes to books, the rules are all different. I’ve heard friends jokingly (or maybe not so jokingly) give characters “misfortune points”. For example, Harry Potter scores pretty damn highly because he’s an orphan, his aunt and uncle abuse him and he has a great and terrible destiny placed on his skinny 11 year old shoulders. It’s weird, but at the same time it feels natural. I know enough psychology to recognize that humans think happiness is relative. It’s the reason we have idioms like ‘competing with the Jones” and why economists suggest it’s funner to be the richest person in a poor neighborhood instead of the poorest one in a significantly richer neighborhood. As awful as it sounds, we humans derive some happiness out of other people’s misery. I don’t know about you, but that makes me feel…icky. Books are one of the few places where we can feel gleeful about other people’s misfortunes and not feel guilty about it. It’s like buying new things without ever spending the money (ie getting stuff for free). Characters are not real people so it’s okay to love that their lives are messed up. So, according to that theory I should love mournful endings. I should love the plays that end with lovers dying in each other’s arms, or the clever, hot detective throwing himself off a waterfall. Right? Except I don’t. I wouldn’t go as far as to say I loathe miserable endings where everyone cries at a funeral. Okay, fine I’ll say it. It’s the truth. Why would I want to go through 400 pages of sadness and getting attached to characters just so that they can be killed off/ addicted/ diagnosed with a terminal disease/ heartbroken/ all of these at the same time? So what’s my alternative? Powdered sugar covered gum drop h appy ever afters (HEA)? No thanks, I don’t particularly enjoy the way the sugar gets in your nose and makes you sneeze. I detest the way the remains of the gum drops stick between your teeth. Candied happy ever afters are definitely not my thing. I don’t want my ending to be final and finite. For one thing it’s not realistic, for another it’s…. boring. whatever difficult comes up, they’ll be equipped to handle it. I guess that means my ideal ending is a happy for now (HFN). For a romance novel, it can mean white dresses and church bells. But, it also means long arguments about who broke the coffee machine and whose turn it is to wash dishes. For adventure books, it means that they’ve defeated their enemy but they know more enemies are likely to rise. Like I’ve said before, happy is a relative concept. Not just in books but in real life as well. Go find your happiness. Let the dissatisfaction and ambition kick in. Then go find your new happiness. This entry was posted in Miscallaneous. Bookmark the permalink.